Why not find your fabric first? See what you can get made in it! 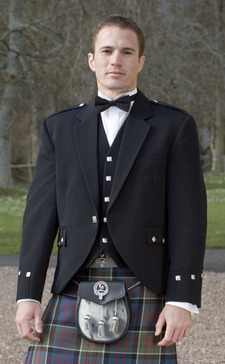 Tartan, tweed, or barathea waistcoats and vests, for either wearing with highland wear or simply as a style statement. 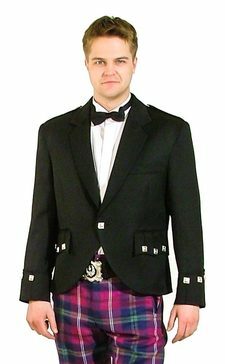 A selection of Irish formal and semi-formal day/evening jackets and vests. All made to measure with a variety of traditional accessories available. A selection of Welsh formal and semi-formal day/evening jackets and vests. All made to measure with a variety of traditional accessories available.